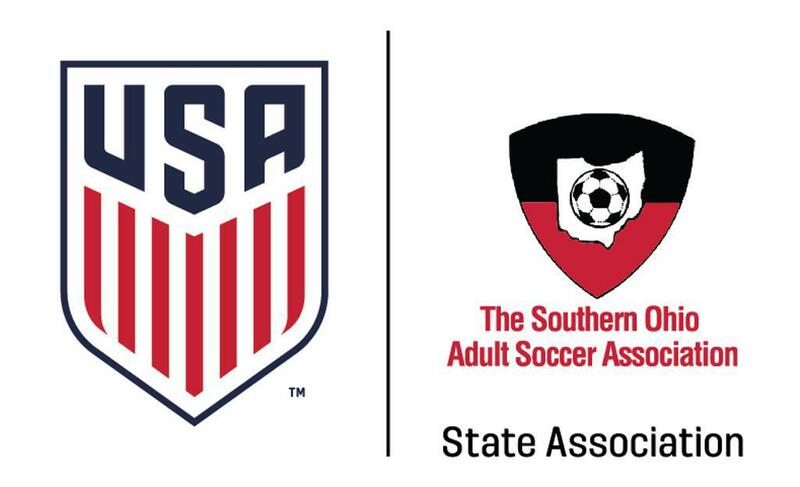 Ken Conselyea, president of the Southern Ohio Adult Soccer Association, passed away on March 17th after a brief illness. Ken was a stalwart of the Southern Ohio soccer community, a mentor to generations of officials and league administrators, and champion, in every respect, of the game he so loved. The game, and everyone associated with it, will sorely miss his steady, guiding hand. Play on! A celebration of Ken's life will be held at the Beavercreek Golf Club on May 5, 2019 from 4:00 to 6:00 PM (RSVP mark.conselyea@osumc.edu). Ed Shoemaker began his officiating career in 1987 while playing in the Dayton Amateur Soccer League after high school. In the succeeding 30 years, he has continuously striven to improve himself on the field and to help other officials become better. He has officiated games throughout Region II. He has worked professional games and both the US Men’s and Women’s National Teams. He became a State Referee in 1993, a National Referee in 2004 then went Emeritus in 2008. At the same time he began assessing in 2003 and instructing in 2006 and remains active in both. As the Ohio South Director of Instruction for District 2, he developed a hands-on training session to expose new referees to the movement and decision making requirements when becoming a referee. He also developed and implemented a two year training plan to better prepare new referees for officiating. While working with the officiating side he also assumed important roles in league and state association administration. He was Secretary/Treasurer of the DASL for four years. During that period, he guided the league through growth from 16 teams to 30 teams (including the first Hispanic team) in three divisions. He was in charge of the yearly schedule, weekly news letters, player registration and passes. He did it all. He served as the Cup Commissioner of the Southern Ohio Adult Soccer Association from 1999 through 2000. His duties included SOASA hosting the Region II Amateur Cup tournament, administrating Open Cup matches and the annual state championship - SOASA Cup. We are indeed very proud to recognize Ed for what he has already has accomplished and for what the future will bring. Weather was great on Saturday morning. At 8:00 the Wolves FC of the Columbus Premier Soccer League faced the FC International from KY on a wet, slippery field. The KY team proved no match for the Wolves FC team. The final score was 2-0. At 9:30 the Cincinnati Saints, playing in a double round robin that included O-30’s and O-40’s, faced the powerful AC Eagles out of Chicago. It was a very competitive game ending in a 1-0 win for the Eagles. At 11:00 the Wolves FC was back on the field vs. the Louisville Soccer Association (LSA) U-23 team. It was another exciting game with the Wolves FC eventually a 2-1 winner. The 3:00 Men’s Open game featured the Wolves FC against the reigning TOC champion, Quinto Elemento from KS Quinto still seemed strong winning 3-0. The last games of the day were played at 4:30. Cincinnati Saints took on Levski of Chicago. It was the most contentious game of the day. Both sides were tired and grumpy. The ref had his hands full. The Saints ended up a 3-2 loser. Sunday was a new day. The Wolves FC had a rough match, losing 6-1 in a semi to LSA from KY. Our Cincinnati Saints played the Levski team again. This time it was a 1-1 tie. The final game of the day was the Saints back in action against the AC Eagles. The Eagles took that one 4-2. Link to full SOASA News page.